Erica here! 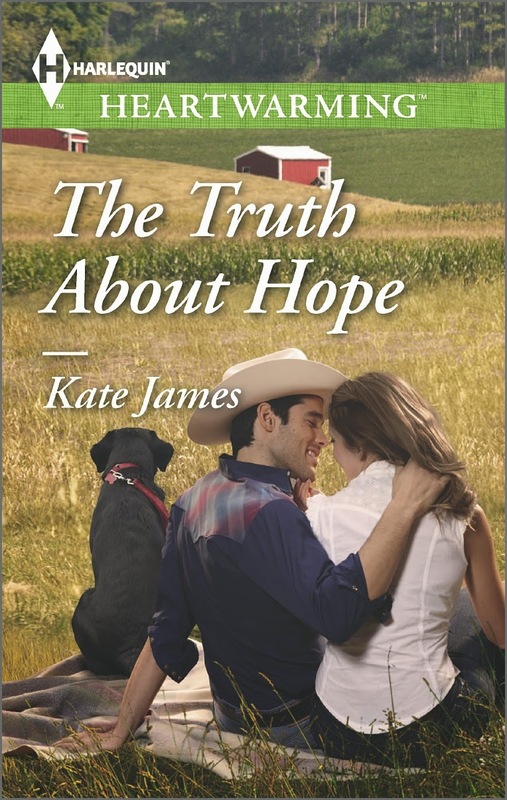 It’s my pleasure to share an excerpt from Kate James’ new Harlequin Heartwarming title, The Truth About Hope (Erica insert: I love the title already and can’t wait to read this one!). I’ve been a fan of the Heartwarming line since it was revamped, and I hope you’ll enjoy this line of clean reads that pack an emotional one-two punch combo that will have you snot-crying and happy sighing in turn. You can learn more about the line’s author’s here. Now let’s dip a toe into The Truth About Hope! In the pet store, Hope pushed the shopping cart up and down the aisles and tried to set her negative thoughts aside. But she found it more challenging to put Luke out of her mind. “That’s a lot of dog food,” the young clerk behind the counter commented as she rang up the two thirty-pound bags, a box of dog treats and a couple of chew toys. “Yeah, and you’ll be seeing me back sooner than you’d think,” Hope said as she slipped her credit card and the receipt in her wallet. The clerk was too young to know her. After the encounter with Miranda, it was nice to have a pleasant interaction, free of tension. Hope slid the shopping bag over her arm, then hefted the first of the two large bags of kibble. “Let me give you a hand with that.” The clerk came around to help just as the phone started ringing. “Go ahead and answer that. I can manage,” Hope told her. “Thanks,” the clerk said as she rushed to answer the phone. Hope pushed the plastic bag farther up her arm and hoisted the other bag of dog food. Weighed down and barely able to see over her load, she was glad her Jeep was only a few steps outside the shop. She maneuvered one of the bags farther up as it began to slide and raised her leg to balance the other one so she could reach for the door. Just as she was about to open it, the door was pulled out of her grasp. She lurched forward and tumbled out the doorway. She hit the sidewalk hard, landing inelegantly on her hands and knees, her purchases scattered about. One of the bags of dog food had split and kibble was strewn around her. Hope pushed to her knees and winced as raw skin scraped across the rough cement. “I’m so sorry. Here, let me help…” A pair of large hands reached toward her. They froze and withdrew abruptly as Hope looked up and, from under the brim of her baseball cap, made eye contact with a pair of gold-flecked amber eyes—Luke Carter’s lion eyes. The man before her was tall and fit. His face had matured in a rugged, handsome way. He looked the same and yet he didn’t. Hope’s immediate reaction was excitement, that little thrill she’d always experienced when she’d been with him as a teen. Erica again. Don’t you just love an awkward meeting? And apparently it’s not the first that Hope has had. I’m already wondering why Luke drew away so abruptly when he realized who Hope was, and why she’s been thinking aobut him. I don’t know about you, but I can’t wait to read this one! Is she the girl her former hometown thinks she is? Or the girl Luke Carter once loved–and maybe still does? When Hope returns to Canyon Creek, Texas, to honor her father’s last wishes, there’s only one person on her mind: her high school sweetheart, Luke. The boy she lied to when she had to leave Canyon Creek as a teen, finding it easier to hide what she really felt than deal with the grief of loss. Her father’s fortune could make a big difference to Canyon Creek–but Hope finds that the townspeople have a long memory about his misdeeds. With a plan to make amends on his behalf, Hope learns the truth about herself. And the truth about love. Kate James spent much of her childhood abroad before attending university in Canada. She built a successful business career, but her passion has always been literature. As a result Kate turned her energy to her love of the written word. 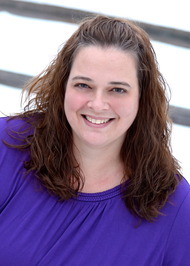 Her writing has been recognized with a number of awards, including first place honors for Silver Linings in both the First Coast Romance Writers’ Published Beacon Contest and ACRA’s Heart of Excellence Readers? Choice Award. Her November Harlequin Heartwarming release, A Child’s Christmas, received first-place honors from Southern Magic, the Birmingham Chapter of the Romance Writers of America, for the 2015 Gayle Wilson Award of Excellence! Kate?s next novel is the first book in her K-9 Squad Trilogy, and is scheduled for release on October 1, 2015. Old clashes against new with fun and heartwarming results. Although each book is a step closer to bringing the town back to life, each book also stands alone (because I hate it when you need to read from book 1 to enjoy the series). I love reunion love stories and Melinda has crafted a fabulously romantic story about love and loss and hope for the future. . . . This is a fantastic story that you won’t be able to put down! I love this town and can’t wait to revisit it in the other books in the series. The day he met Shelby, she’d stumbled into his high school science class during his senior year. He’d felt as if he’d been sucker punched. Unbelievably, he, who’d always relied on proof and facts, had fallen in love at first sight. How else could he describe how discombobulated he felt just seeing Shelby? But while he’d over-analyzed those strange, new feelings, Nick, who’d never hesitated in his too-short life, acted right after Gage introduced them. I haven’t read the first three books in the series but I never felt like I was missing out on anything. I’d love to go back and read the whole series though. . . . This is a sweet story of love and friendship. I enjoyed it from beginning to end. Oh what a fun book! I enjoy books where characters already know each other. I’ve found that it can move the story along a little quicker while still allowing for plenty of tension. 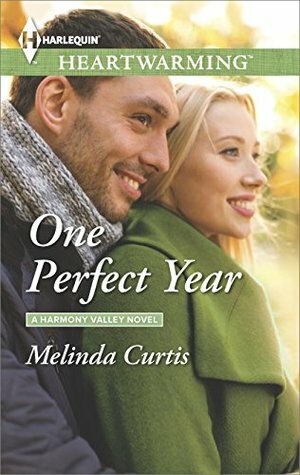 Melinda Curtis did a great job using Gage and Shelby’s friendship from years ago to create a lot of believable drama in One Perfect Year. This book is a clean, fun read! There was more to it than I thought there would be and I enjoyed that! I liked the different storylines that came together in the end. I also like that it’s part of a series yet easily stands alone. I want to read the other books to see what other fun characters are in this series and I look forward to future installments! I love a good homecoming, animals-horses in particular, and opposites attract love story, so this was a great novel for me (and so very easy for me to love). Gage and Shelby’s story can easily ring true with a wide variety of readers and is a short, wonderful read. “Accept my apology, Sugar Lips?” Gage Jamero was up to his elbows in trouble with his latest lady love. Well, at least one elbow. Sugar Lips’ contraction built like a blood pressure cuff around Gage’s right bicep. His face heated, his fingers numbed, his body felt as if it was wrapped in a too-tight ace bandage. “Breathe easy, honey.” Gage tried to follow his own advice. During his internship and residency, he’d gained quite a reputation as a horse whisperer when it came to peevish, pregnant horses. But she wanted to. That once young, innocent part of her she’d assumed was long dead and buried—that stumbling, lonely misfit—wanted to. What if she lost Gage, too? Her vision blurred around the edges, tunneling to Gage’s bare, muscular chest. “Shelby!” Gage’s voice sounded far away. And in that faraway place, Shelby dreamed of Gage’s lips pressed to her forehead, of him tenderly whispering her name. One Perfect Year is … nice. That is to say, it’s a very pleasant romance with likable characters and an enjoyable plot. I very much liked Gage and could understand his hesitance to commit to staying in Harmony Valley. I also actually found the description of the wine business to be very interesting (this surprised me greatly). “You’ve given up on relationships? That explains a lot.” Looking grim, Gage finally took a bite of spaghetti. How can Shelby Hawkley forgive Gage Jamero for bailing on her when she needed him most? He and her husband, Nick, were the best part of her life. Now her former best friend is back, shaking up the widowed wine harvester’s world. The safest bet is to protect herself. Except Gage is awakening feelings that are decidedly unfriend-like. Shelby is the woman Gage has secretly loved since high school. Starting over—together—could be the best dream he’s ever had. If only he can find the courage to say what he should have said all those years ago. Amy Vastine has been plotting stories in her head for as long as she can remember. An eternal optimist, she studied social work, hoping to teach others how to find their silver lining. Now, she enjoys creating happily ever afters for all to read.In September of 2012, she saw a tweet about Harlequin’s So You Think You Can Write contest. She entered, hoping for nothing more than a little feedback from some people in the business. Amazingly, The Weather Girl made it into the semi-finals, thanks to the many wonderful voters out there! The manuscript didn’t make it to the finals, but the editors over Harlequin were still interested. A few revisions later and The Weather Girl was contacted for publication with Harlequin Heartwarming – a dream come true!Amy lives outside Chicago with her high school sweetheart-turned-husband, three fun-loving children, and their sweet but mischievous puppy dog. Erica: Today, I am pleased to bring you guys a guest post from the lovely and talented Amy Vastine! I’ve been following Amy’s journey since before she was published and was so excited when I saw that her debut, The Weather Girl, was being published by Harlequin. I’ll be back in to give a review of her debut in a future post, but right now, I’m turning over Copywrite1985 to Amy. Enjoy! Thank you so much for hosting me on your blog today! 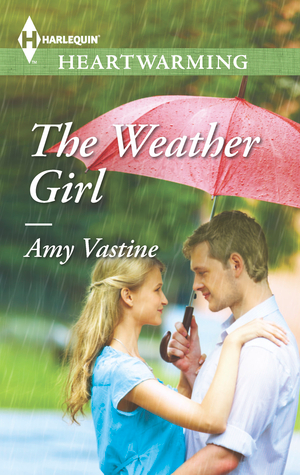 I am so excited to be here and be able to promote my debut novel, The Weather Girl. In the book, Summer Raines is a quirky meteorologist in West Texas who falls in love with the fallen football hero, Travis Lockwood. Having grown up with two brothers and a father who still talks about the good ol’ days playing ball in high school as well as being the mother of two boys who play, I felt pretty confident about my football knowledge. The weather, on the other hand, was something on which I needed to do a little research. One of the dilemmas that Summer faces is should she or shouldn’t she take the job of her dreams, a job that would allow her to travel around the world and see these weather phenomena first-hand. An old family friend tries to lure her by sending her examples of some of the adventures she would go on if she took the job. My favorite is when he tempts her to come to Finland to see the northern lights from a glass igloo. In reality, there is this incredible resort in the Laplands where you can stay in these glass igloo rooms. Here’s a link to the website if you’re interested – http://www.kakslauttanen.fi/. There’s something about the northern lights that intrigues me. I hope to go see them someday, maybe not in Finland but perhaps in Canada! I also have a Pinterest board for The Weather Girl where I have a bunch of weather-related pictures – http://www.pinterest.com/vastine7/the-weather-girl/. My favorite picture on there is either of the sky punch or the sky wave. They make the boring clouds drifting over my house seem very boring. If you get a chance, check it out! Do you have a favorite weather event? Are you thrilled by tornados or maybe love to watch it rain?